The Plantation House is located about 40 minutes outside of Austin Texas and is a great alternative to the Austin hotels. Stay in luxury while visiting the the Austin Aquarium or Zilker Metropolitan Park and Botanical Garden. The 5 acre bed and breakfast is such a great getaway! Many Texans and non-Texans love to get away from the country and visit our bed and breakfast. You will enjoy proper southern hospitality and one of the best breakfasts you will ever have. You can sit and relax on the front porch or take a stroll around the estate. 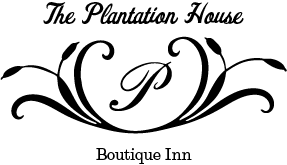 Relax in your elegant room at the Plantation House.